The three-stage rocket emerged from its assembly hangar Friday morning for the 2,300-foot (700-meter) rollout to the launch zone. Russian ground crews deployed on temporary duty in the jungle of French Guiana oversaw the rocket’s transfer on rail car along dual tracks leading from the hangar to the launch pad. Once at the pad, the rocket was positioned over the flame bucket, then lifted upright for hold-down arms to rotate into position around the launcher. A mobile gantry moved into position around the rocket later Friday, giving workers access to all levels of the Soyuz launcher in preparation for final pre-flight checks and installation of the French-built spy satellite set to ride the vehicle into orbit Tuesday. The first satellite in the French military’s new Composante Spatiale Optique, or CSO, series of reconnaissance satellites was expected to arrive at the launch pad Friday evening, where cranes were awaiting to hoist the spacecraft — already inside the Soyuz payload shroud — on top of the rocket to cap the build-up of the launcher. The CSO 1 satellite is the first of three satellites in the French military’s new space-based optical surveillance network, which replaces the Helios 1 and 2 family of reconnaissance satellites, the last of which launched aboard an Ariane 5 rocket in 2009. The 7,859-pound (3,565-kilogram) CSO 1 spacecraft was built by Airbus Defense and Space, with final integration occurring in Toulouse, France. Thales Alenia Space supplied each satellite’s high-resolution optical imaging instrument. Liftoff of the Soyuz rocket from its launch pad in South America is scheduled for 1637:14 GMT (11:37:14 a.m. EST; 1:37:14 p.m. French Guiana time) Tuesday. 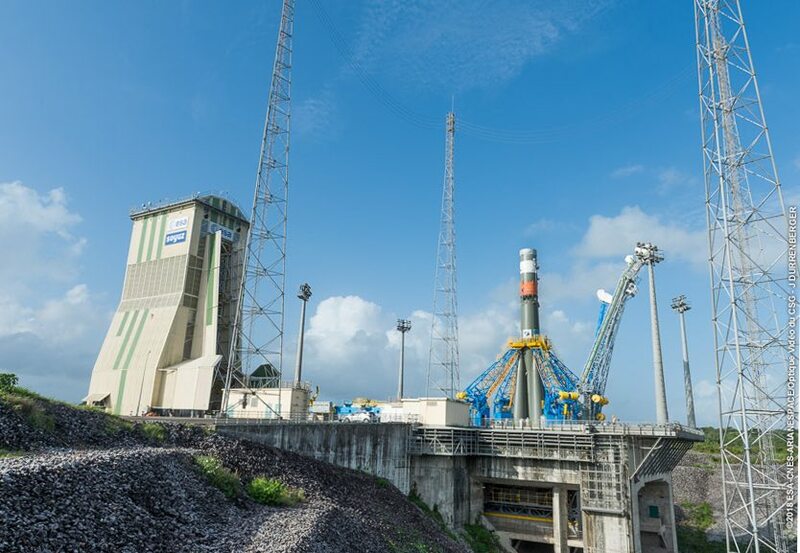 It will be the 20th flight of a Soyuz launcher from French Guiana since 2011 under the auspices of Arianespace, and the French launch provider’s 11th and final mission of 2018, a record that includes flights by Ariane 5, Soyuz and Vega rockets. After flying north from French Guiana over the Atlantic Ocean, Canada and the Arctic, the Soyuz rocket’s Fregat upper stage will release the CSO 1 spacecraft in a nearly circular polar orbit roughly 500 miles (800 kilometers) above Earth approximately one four after liftoff. Designed for a 10-year mission, the CSO 1 satellite will be joined another CSO spacecraft launched on a future Soyuz rocket flight into a lower orbit around 300 miles (480 kilometers) in altitude, enabling it to collect even more detailed imagery for analysis by European military officials. A third CSO satellite will be launched by Europe’s next-generation Ariane 6 rocket. The third-generation spy satellite fleet cost more than $1.5 billion, including spacecraft, launch and ground system upgrade expenses, according to French authorities. The program is funded through the DGA, the French military’s procurement agency, and the French space agency CNES is responsible for in-orbit testing, satellite operations, and the purchasing of the spacecraft and launch services. The French government has agreements with the governments of Germany, Sweden and Belgium to share CSO imagery, and an agreement with Italy is expected to be signed soon, officials said. 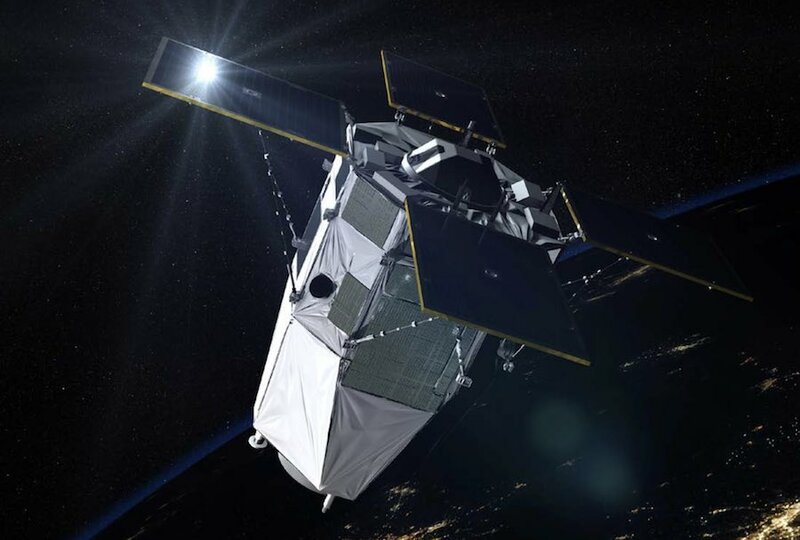 The CSO satellites will collect day-and-night imagery, in visible and infrared bands, and each spacecraft features an agile pointing capability, allowing rapid steering from target to target, and enabling views from different look angles for three-dimensional stereo surveillance products.